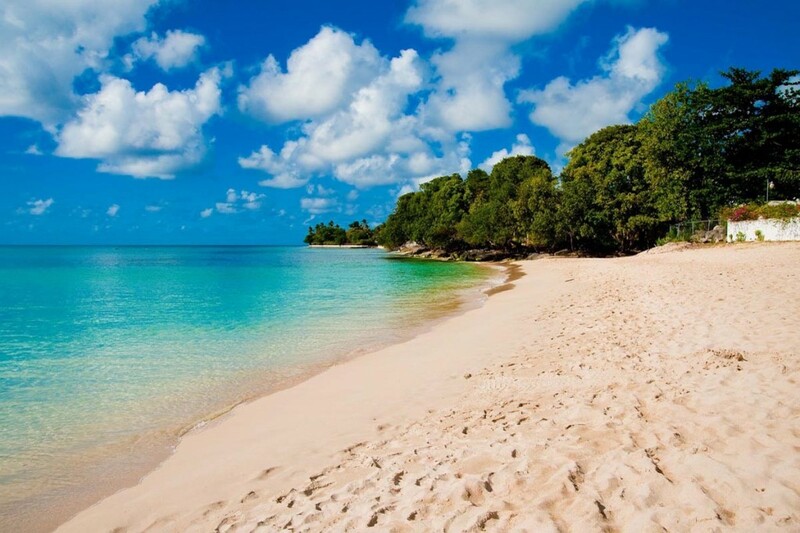 There are so many lovely beaches in Barbados and if you get away from the tourist areas you will find super nice beaches where you can be completely alone. 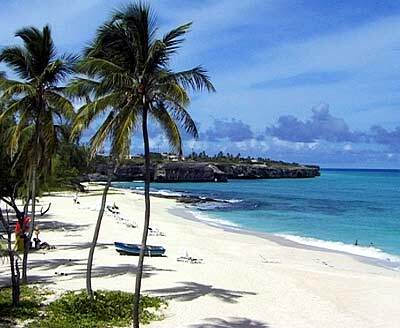 Many of the hotels in Barbados are located on the south coast. Even some of the best beaches, some have cafeterias, restrooms and beach acticities. Sunchairs and umbrellas can be rented at many of the major beaches. 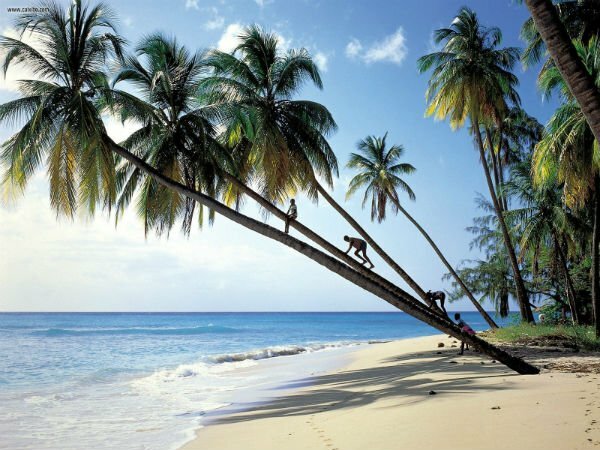 Travelling away from these beaches and you will discover another Barbados, an untouched part of warm sand, coconut trees and tranquility. 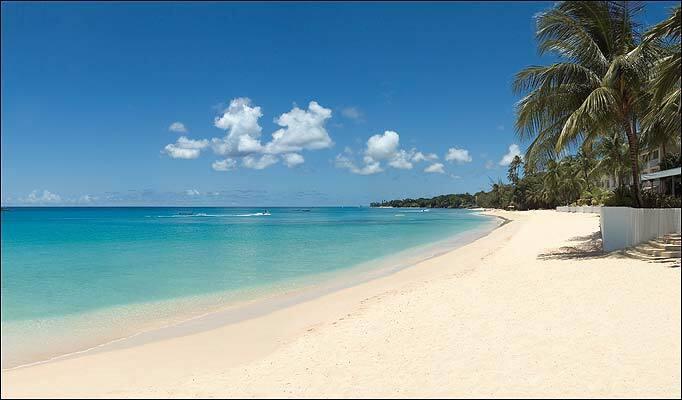 Populare beaches for holiday makers are Worthing, St Lawrence Gap, Accra Beach and Sandy Beach. The south coast beaches are white, long and has room for manysun bathers. The beaches on the west coast gets more narrow and lush and secluded. On the east coast there are some beautiful gems, but be aware of the strong currents and powerful waves, crashing in from the Atlantic. At Batsheba a community of wind surfers ride the waves and annual competitions are held here. But if you are looking for a nice day at the beach this is not the right area, the ocean is not suitable swimming due to the currents and huge waves. For a beach day we can recoomend a visit to Bottom Bay. This beach is very private, hard to find and you need to climb steep wooden steps to reach the beach. But it is all worth the effort. You could get to Bottom Bay by local transportation but remember you need to walk for about 40 minutes to get there. Same bus also takes you to Crane Beach, at Sam Lords Catle. The east coast has more dramatic beaches, secluded, no bars or restaurants, sunbeds or umbrellas. But they are all very beautiful ant it is worth the time getting there. 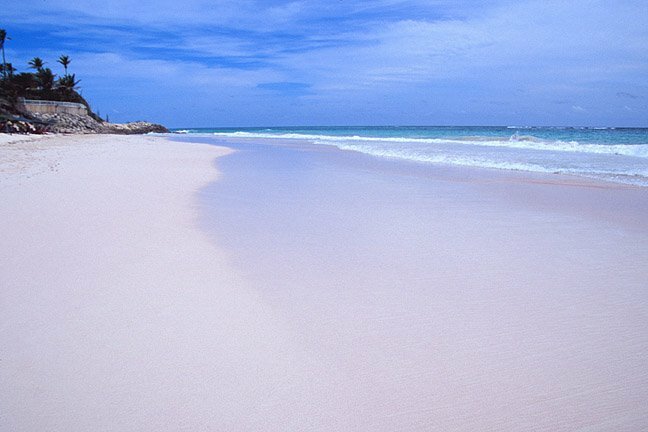 Crane Beach is spectaculare with is pink sand and steep cliffs. Another favourite is Mullins Bay, this beach is located on the West Coast, and you can easily take the local bus here, a bus stop is right next to the beach. It is a fairly quiet beach, there are no water activities, but there is a small restaurant/bar, a shower and toilet and chairs to rent, for those who do not want to lie on the sand. Stay the day and enjoy a drink at sunset. A rum punch maybe? 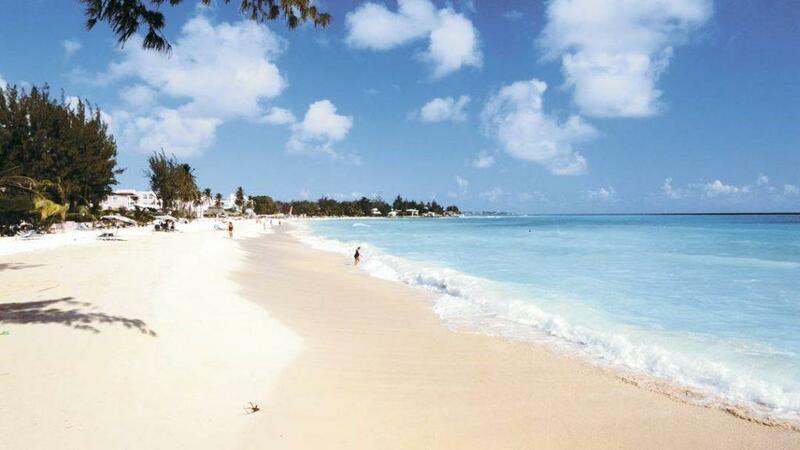 Barbados has one advantage, the water temperature is warm and nice all year around. The sun is hot and expect a temperature of 30 degrees C (86 F). 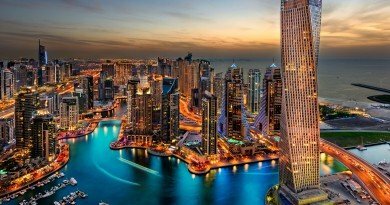 There is a little, or no, difference in temperature at evenings and nights. On the west coast lays the tranquile Turtle Beach, a stop here and you might be able to swim with some turtles. They are used to the attention of snorkelers and are curious and they normaly swim up close to you. Many catamaran tours makes a stop here for snorkeling and being on board one of these boats for a day is a nice way of spending your day. They will pick you up at your hotel and take you back, included is lunch and all drinks. Even alcoholic drinks. 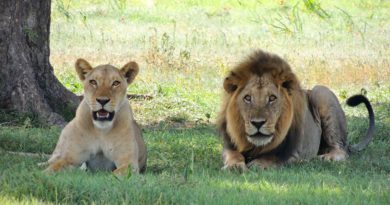 They normally make two or three stops in a day and visit many of the interesting reefs surrounding Barbados. Sandy Beach is located on the south coast. This gorgeous beach has the whitest shade of white and the water is just beautiful. This sandy beach is not that large but has a nice depth to it. Sunbeds and umbrellas can be rented too. There are not that many hotels in this area and the beach is less crowded. 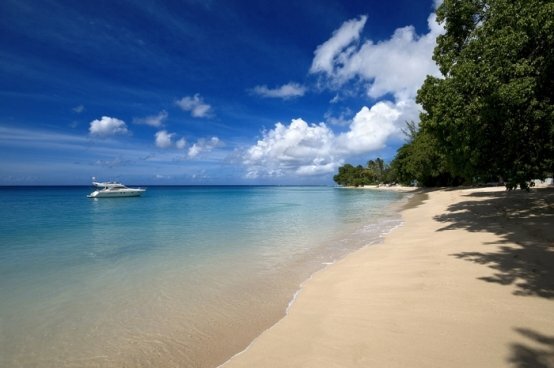 All beaches in Barbados are public beaches, even if some of the luxury hotels tries to get “exclusive beaches” for their guests. 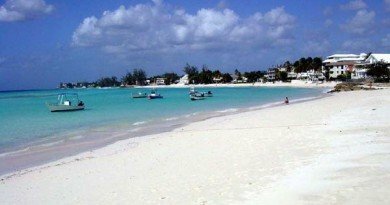 Near the port and Bridgetown you’ll find Paradise Beach, accessible by car or a taxi. This is one beach we can recommend if you want some privacy. North of Paradise Beach is Reeds Bay. Maybe a hidden and forgotten beach. Almost no visitors and the one finding this beach comes on a catamaran tour. It is tricky to find the beach access to Reeds Bay from the main road, but there is a small parking. Ask for directions. If lucky there are some food trucks in the parking area selling delicious lookal food.